California natives Allah-Las will pay homage to some of their old and new favorites by releasing a 10’’ vinyl EP of covers, appropriately titled Covers #1, which will be out Nov. 3. It is the first of a series of cover EPs they are releasing via Mexican Summer. Included on the EP will be renditions of George Harrison’s “Fish On the Sand,” Television’s “Hard On Love,” Further’s “JO Eleven” and Kathy Heideman’s “The Earth Won’t Hold Me.” The band experimented with the songs at the Pump House in Topanga Canyon between album takes while working on their next full-length release, a follow-up to their 2016 album Calico Review. Covers #1 will feature vocals from rhythm guitarist Miles Michaud and drummer Matthew Correia. 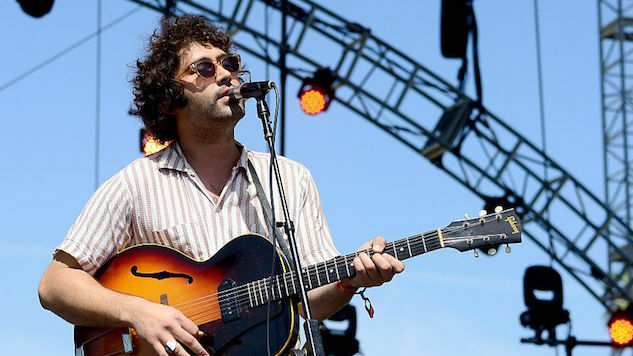 Correia takes the reins on Allah-Las’ take on Heideman’s ‘70s tune, which the band’s label shared today via Soundcloud. Listen to the track below and check out the band’s Covers #1 art and tour dates further down, along with an Allah-Las performance from the Paste Cloud.